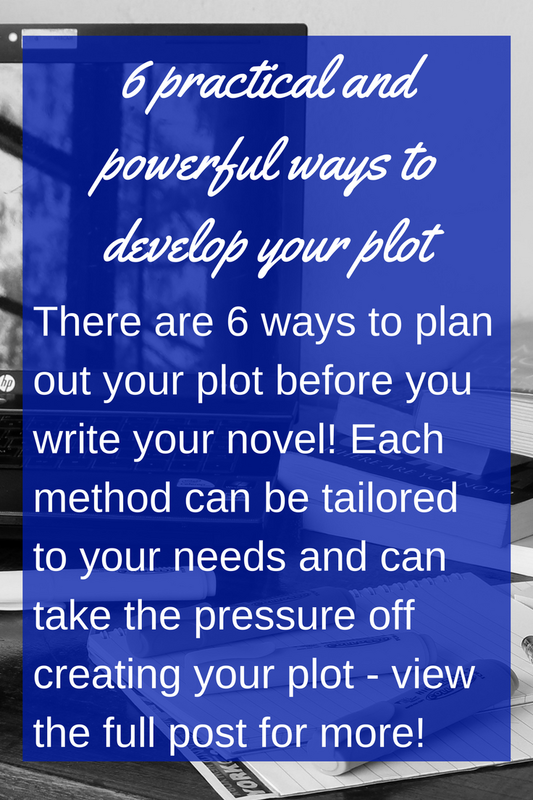 A plot is the story that you are going to tell in your novel. It consists of all the things that happen between page one and the end of the book. Exposition: Introduction and establishment of the characters, setting, and situation; exposition includes the narrative that gets the story moving forward; authors use exposition to set up the main character and his problem or goal. Complications and conflict: The events and characters that thwart your protagonist and prevent him/her from solving his/her problem or reaching his/her goal. Crisis: Complications and conflict-hit their highest point. Climax: Crisis builds to a dramatic, do-or-die moment. Reflection: A change that the main character undergoes as a result of learning something important about himself/herself or the situation he/she is in; he/she experiences an epiphany about life and the great scheme of things. A novel can be thought of as a play, and like all drama can be taken as having three parts – a beginning, middle and end. This structure is often referred to as the “story arc.” That’s because the tension in the story gradually builds to a crisis and then, much more quickly, falls with resolution and reflection. At every turning point in your story, there will be multiple possibilities for what might happen next. Readers especially enjoy plot twists that surprise them and take them to unexpected places. It’s up to you to decide where your plot goes and which obstacles you place in your protagonist’s way as he/she struggles to reach his/her goal. The key to making your plot feel compelling is finding that worthy goal for your protagonist to pursue, something that’s worth all the complications and conflict you’re going to put him/her through. It is essential in every novel that the protagonist has a goal. As an author, you need to find that goal for your character, and it has to be worth fighting for. Is achieving a career change a worthy goal? By itself, not so much. But if making that career change means that the character can prove to himself/herself and to his/her family that he’s/she’s not a loser, then it becomes worthy. A goal is worthy if the stakes are high and the consequences of failing are catastrophic, either in material or emotional terms. Stakes and consequences. Those are the things to keep in mind when you assess your main character’s goal. A Wrinkle in Time – Meg Cabot must travel through time and space and journey to the “dark planet” to find her missing father. Catch-22 – Captain Yossarian, a bombardier, strives to stay alive, retain his humanity, and get the hell out of the war. Pride and Prejudice – Elizabeth Bennett wants nothing more than to be well married. A journey is interesting only if it is difficult, so setbacks along the way are essential. There are many potential sources of setbacks. A weakness in the character like cowardice or prejudice or impulsivity. An external event like a war, a plague, or a traffic accident, or a tear in the space-time continuum. An opposing character — like her lover’s ex-girlfriend or her controlling mother or her mercenary boss — who tries to keep the protagonist from reaching her goal. A misunderstanding in which the character misinterprets something she hears or witnesses. An injury like a broken leg, a gunshot wound, or temporary blindness. The more your character must struggle to reach the goal, the more heroic the journey seems to the reader. But be sure to modulate the misery, and beware that readers have little patience with a protagonist who whines. Characters, like real people, are transformed by their experiences. They often are wiser having gone through the struggle of reaching their goal. For instance, they realign their priorities, or lose their innocence, or accept responsibility. A character may realize, as the novel progresses and the character gains knowledge and self-knowledge, that he/she was wrong about what was truly important to him/her. In The Devil Wears Prada, for example, Andrea Sachs yearns for a job on a high-fashion magazine, only to find that she’s not willing to sell her soul to succeed. Modern novels, like movies and television shows, are usually broken up into scenes. A scene is action that takes place at a particular time in a particular setting. The average novel consists of anywhere between thirty to seventy scenes. In a novel, a scene is bound in time and place, though characters can enter and exit. Writing your novel in dramatic scenes, and resisting the urge to summarise the events, has the added benefit of anchoring your novel in drama (showing) instead of synopsis (telling). In every scene in a novel, something should happen, and by the end, something should have changed. For instance, the change may be emotional: the character starts the scene happy and by the end is grieving. Or an unexpected revelation may occur: the character is looking for her sister in a bar and by the end discovers her sister’s boyfriend in a dark booth, cuddling with another woman. Or a peril emerges: the character comes home from work exhausted and by the end of the scene finds an intruder in her apartment. Scenes end when the setting or time changes, or when the narrator changes. Readers are accustomed to the convention of a double-space to indicate a break between scenes. Using scene breaks allows you to jump from one bit of compelling drama to the next, skipping over the boring in-betweens that don’t produce any drama. Readers are also accustomed to reading books that are broken up into chapters. In a novel, a chapter can be composed of a single scene, or several scenes, or even part of a particularly long scene. While scene breaks always come between scenes, or between narrator shifts, chapter breaks can come anywhere. The author can even insert a chapter break into the middle of a scene at a logical resting point to give the reader a break, or at a cliff-hanger moment, deliberately accelerating the pace. Some writers need to know before they start writing, scene by scene, the progression of the plot for their entire novel. Others need to have some idea of what’s going to happen in the beginning, in the middle, and at the end but are happy to start writing and discover how the parts connect. Still, others start with a vague idea of where they’re going, a main character, and an opening scene, but they like to be surprised as their characters take over, moving their story forward. There simply is no single method that works for every writer or for every book, so you have to try different approaches until you find one that suits your strengths and style. Some authors write a detailed outline of every scene in the novel; others only feel as if they need to outline the first scene, the major turning points, and the ending. Others tell the story from start to finish in a detailed synopsis. Still, others are content to just take lots of notes and write character sketches before jumping into writing page one. Interestingly, though authors disagree widely about whether to outline first, most authors agree on the necessity of creating an outline after writing. An outline of what you’ve written gives you an overview of your story thus far and will provide a perfect starting point for revision. Many authors like to write a scene-by-scene outline of their book before they start writing. A basic outline gives a brief description of what happens in each scene. Scene 1: Tuesday, 6 PM, Gary Brewster arrives at his girlfriend Madison Gavin’s apartment. He’s looking forward to their date. He rings her bell; no answer. He waits for another tenant, an old woman who is carrying groceries, to go in and follows her, offering to help carry them and sneaks past the doorman and into the elevator. Scene 2: Continued, Gary rides up in the elevator to Madison’s apartment, wonders why she isn’t answering her bell. He gets to her apartment door, listens, hears music and shouting inside. He knocks. A man comes to the door who says he’s never heard of Madison. Scene 3: Tuesday, 8 PM, Gary drives home. Tries to figure out what’s going on. Madison is waiting in front of his house, furious and insisting that she was supposed to meet him there; they argue; she leaves in a rage. Scene 4: Continued, Gary goes inside and finds that his house has been burgled. The prospect of sketching out, even in a high-level outline, all forty to seventy scenes of your novel can be daunting. You may be able to envision the scenes at the beginning and how your story is going to end. But laying out the middle in detail may seem impossible. 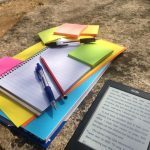 So, a useful alternative approach to outlining is to begin by staking out what can be thought of as “tent-pole” scenes — these are the key turning points in your book, those scenes that are most essential to your story. Dorothy and Toto are swept away in a cyclone and land in Oz (opening). The Wizard meets Dorothy and her friends and tells them that before he’ll grant their wishes they must bring him the broomstick of the Wicked Witch of the West (reversal at the end of Act I). Dorothy is captured by the winged monkeys and carried off to the witch’s castle (reversal at the end of Act II). Dorothy melts the witch (climax in Act III). Dorothy’s returns to Oz with the witch’s broomstick and uses the silver slippers to carry her home (resolution at the end of Act III). Of course, much more happens in this novel, but nailing four key plot points like these is a good way to jump-start your planning process. The next step is to write a short description of every scene you can envision between these tent-pole scenes. For instance, after Dorothy arrives in Oz, an additional scene description might be: Dorothy meets the Munchkins and Glinda the Good Witch of the South who send her off on the Yellow Brick Road to meet the Wizard of Oz. You will probably find it easier to envision in detail, scenes that take place early in your novel, say between the opening and the end of Act I, and also the scenes that will come in and around the climax at the end. Do the best you can, outlining as many of the scenes as you can envision, but don’t be dismayed if there are gaps. The scenes that take place in the middle of your novel will start to take shape by the time you reach that point. Though outlining takes time and can seem difficult, authors who don’t take the time to think through their plot before they start writing can end up spending far more time revising or may even abandon their novel because they write themselves into corners or run out of steam. Early on, there’s no need to worry about how to group the scenes into chapters. Just think in terms of scenes. Chapter breaks can easily be inserted later. 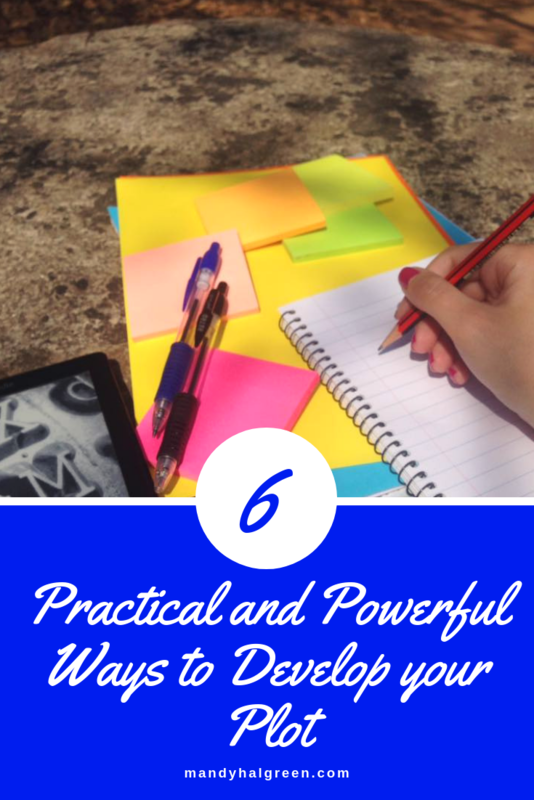 An outline is a wonderful planning tool and can make writing flow much more quickly. But don’t get so wedded to your outline that you become afraid to deviate from it. Be prepared for inspiration to strike as you write a scene — it may turn out entirely differently from what you originally planned. A more informal approach works for some writers. They begin by quickly jotting down ideas for characters, setting, and plot on index cards. Then they apply some organizational structure to the chaos. For instance, they might take all the character cards and group together ideas about each character. They might organize plot cards by plot and subplot, and sort them all chronologically, and finally separate them into three acts. If your character is taking an actual journey in the book, you might go a step further and draw a map on a big piece of paper. Stick event Post-it notes at different points along the journey. If your story takes place over an extended time period, you might draw a timeline on a big piece of paper and stick Post-it notes with the events when they occur at different points along the timeline. Writing out the plot of the novel, in synopsis form, is another way that many authors get ready to write. They “tell” their story, fast-forward, getting down the main story line without trying to dramatise every scene. This kind of synopsis tells the story, from start to finish, in sufficient detail to show how all the plots and subplots articulate and how all the characters and settings fit together. A synopsis for what will be a 300-page manuscript can be as short as 10 pages or as long as 60 pages. Novelists who create a detailed synopsis often find that, having nailed down the details of their story, once they sit down to write the actual novel they can concentrate on the details, the dialogue, and the action, and they don’t get stuck worrying about where the story is going next. You can share a synopsis with your writers critique group to get feedback on your overall story before you start writing. You can share it with an editor or agent. In fact, some publishers require authors to submit a synopsis as the first deliverable of a book contract. As a working document, a synopsis is very different from an outline. It is not broken down into scenes, does not spell out viewpoint changes or time shifts, but it shows how the pieces of the plot articulate with one another. The great advantage of writing a detailed synopsis is that it requires you to think through all the plot twists and turns and fully understand how each part of the story connects to the next. Storyboarding is another plot development process, one that novel writers have borrowed from screenwriters. Traditionally, storyboarding involves arranging a series of images for a film, showing visually how the plot will progress. When and where does the scene take place? What is the main thing that happens/changes? When all the scenes have cards, they get arranged in storytelling order. Retracing the cards, you will find gaps that need to be filled, including those places where your story jumps and needs some connective tissue. You may find some spots where you need to insert a blank card to hold the place, hoping that by the time you get to writing that part of the novel, inspiration will have struck and you’ll know what scene or scenes should fill the gap. Whether you would benefit from using software to help you plan depends on your own work style. If you like being organised and are comfortable with electronic tools, then you might want to explore basic options and more. Word processing software like Microsoft Word and spread-sheet software like Microsoft Excel make it easy to create tables, allocating each row to the description of a single scene. It’s easy to shift, insert, or delete rows as your plot grows and changes. You can even print out the table later and cut it apart, moving around the pieces to see how shifting plot elements affect the overall story. Or use the outlining tool in Word to create an outline. There are many special software programs available, designed specifically for writers in general and fiction writers in particular. Most offer a free demo or can be downloaded and used for a trial period so you can see if it helps you or slows you down. Dramatica Pro: Calls itself the “ultimate creative writing partner” ; through a slew of questions about plot and character it helps a novelist construct a story and then stay organised (for PC and Mac). New Novelist: Helps structure a novel using the “hero’s journey” paradigm; it includes a word processor, tools for storing notes and outlines, and story prompts (for PC). Scrivener: Contains both a word processor for writing, and management tools to help track ideas, take notes, storyboard, outline, store all kinds of research material, and write (for Mac). Storyist: Includes word processing software tools with a range of planning and outlining tools and project views to help an author stay organised (for Mac). StoryWeaver: Uses interactive “Story Cards” to help an author generate ideas and a plot for a novel (for PC and Mac). Remember, how you plan and what tools you use are your choice. It’s fine if you are most comfortable with a yellow pad and a sharpened pencil. The tools you use and processes you follow should help you write the novel, not get in your way. 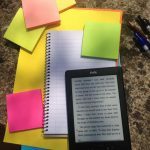 Phew, such a long post and we have reached the end of it – get your hands on the Book Writing Mistakes to Avoid Checklist!